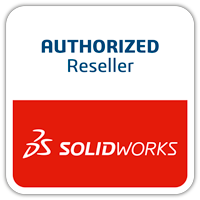 When importing files into SOLIDWORKS it can be daunting to just see the imported body in the tree without any features to edit. 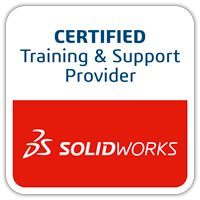 SOLIDWORKS has some great tools to help with editing these files. In this example we are going to create the following edits to part. To remove the hole on the tab we use the delete face feature, this can be found on the Surfaces tab. 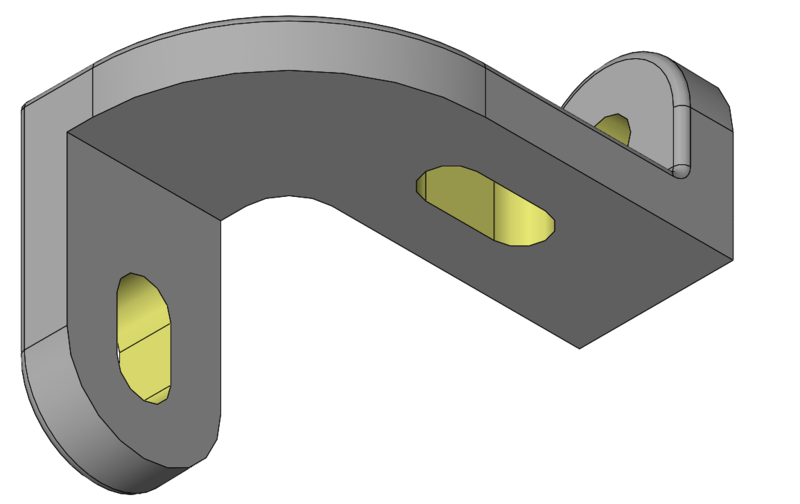 Select the internal face of the hole and use the patch option, this will close the adjacent faces. Once the patch has been complete we can extend the tab. 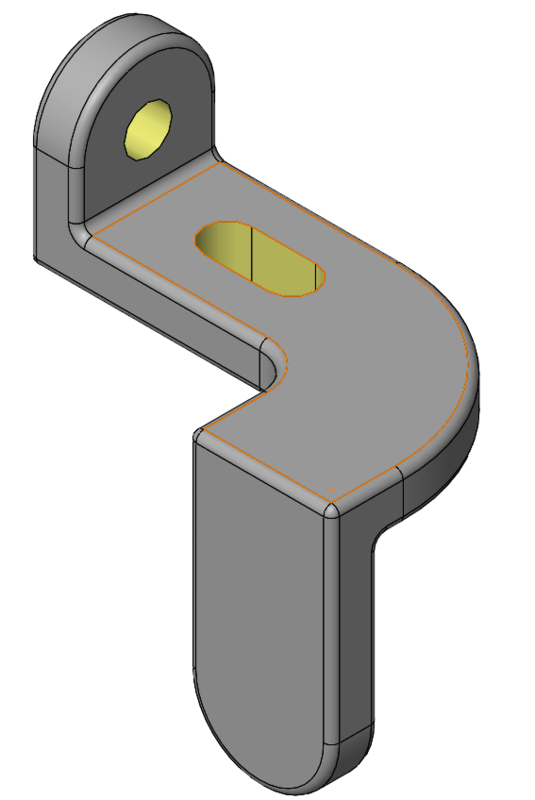 To do this we are going to cut the part into two solid bodies, translate the cut body and then extrude in between. To cut this in the desired location we will use the Split command and a plane as the cutting tool. 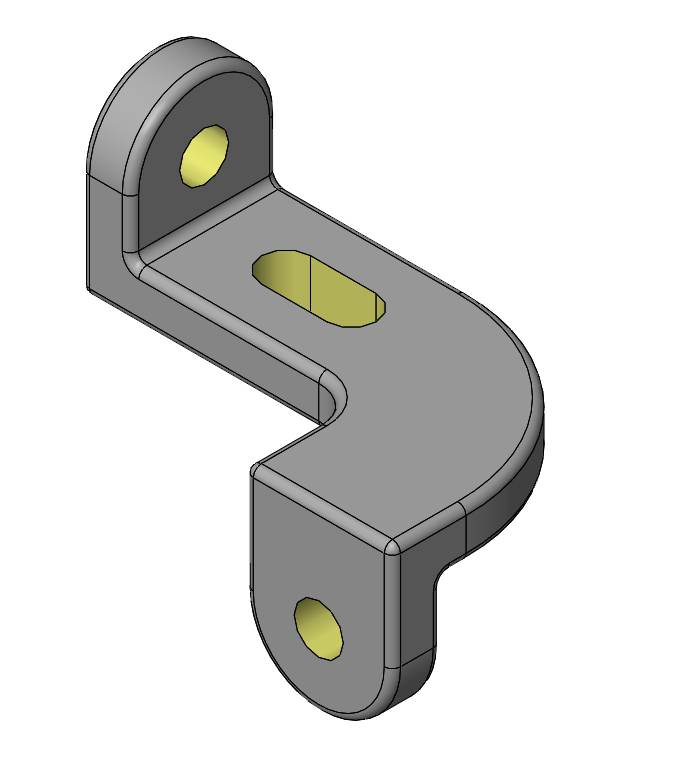 Place the plane on a vertex of the part use one of the reference planes to correctly orientate the plane. Then use the Split tool and select the required templates, I have used the default), Check the resulting bodies. 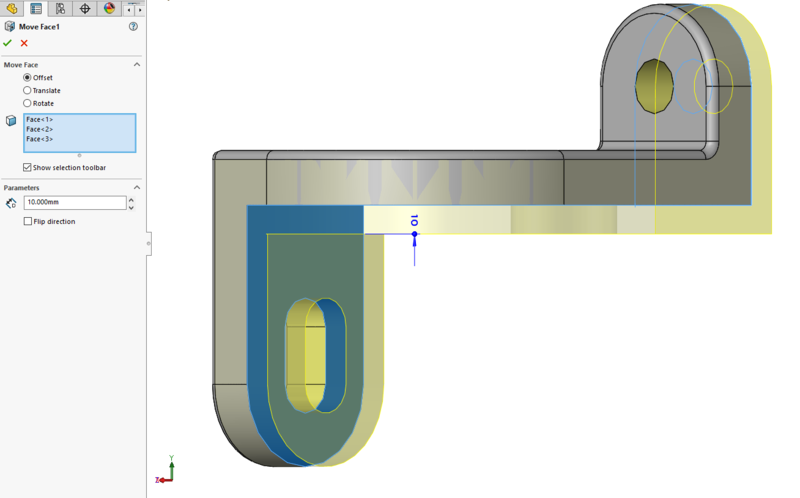 We then use the Move/Copy Bodies command to select the end of the tab and translate it 40mm in the Y direction. This will separate the two solid bodies. 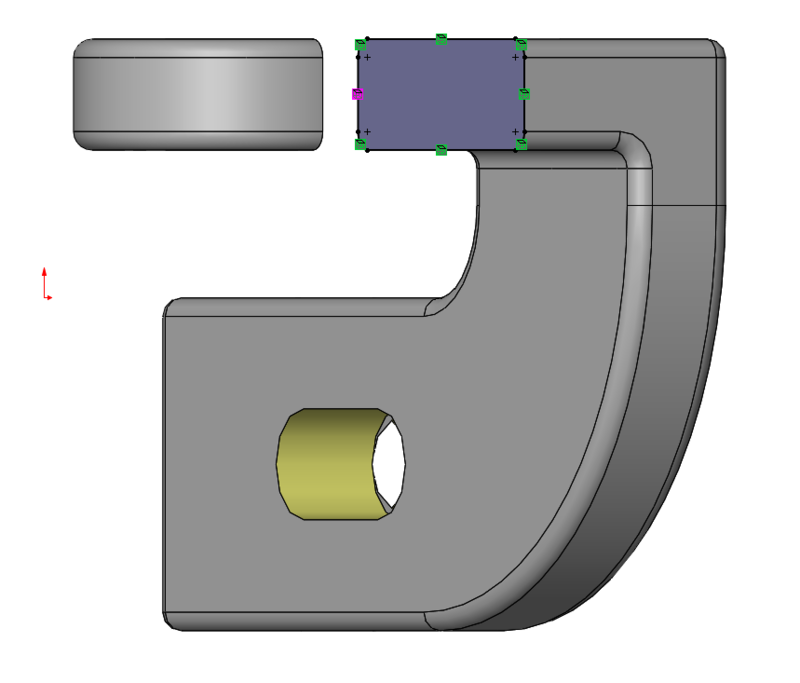 Select one of the newly created faces and open a sketch, then use the convert entities tool with that face selected to convert the outer edges of the face into sketch lines. 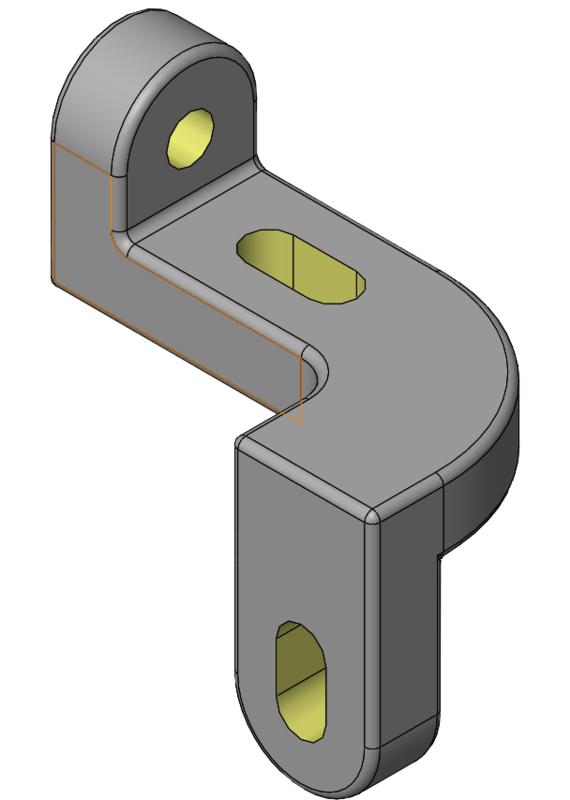 Then use a simple “up to Next” extrude to join the two bodies, ensuring the merge entities is selected. 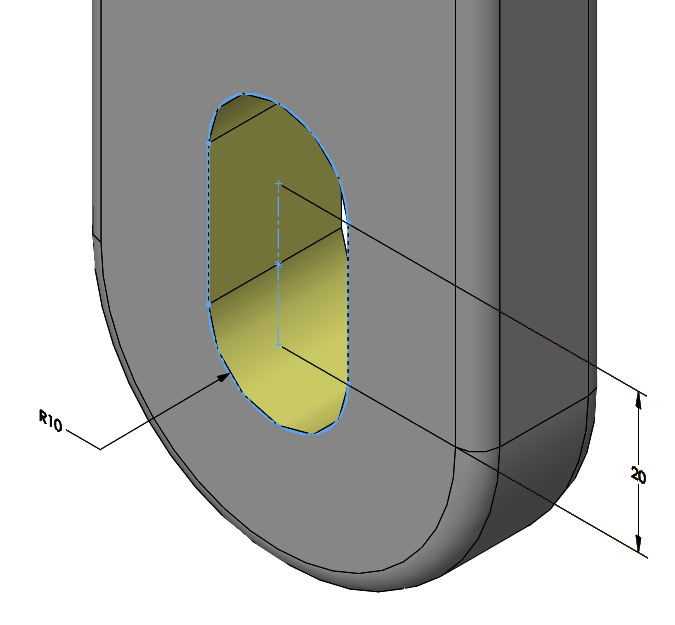 To edit the thickness of this shape is different from the tab as it has 3 face we want to extrude. Using the previous method would mean creating three planes and 3 cuts, which is inefficient. 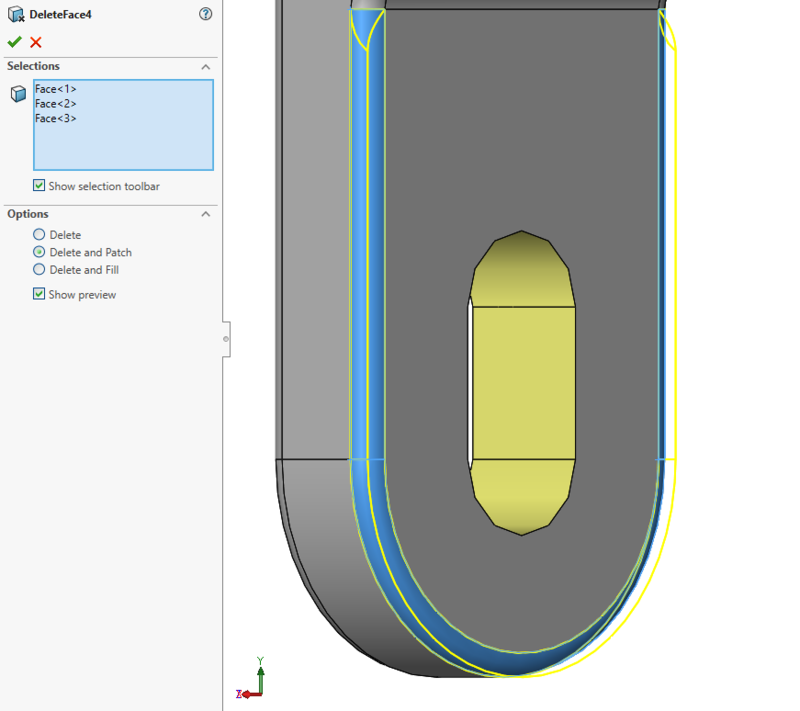 The workflow for this section is to remove the fillets giving a sharp corner, offsetting the faces and then reinserting the fillets, this is a simpler workflow and will give control of the fillets. To remove fillets, use the Delete face command on the filleted faces. In instances where there are corner fillets you may need to separate the command in to multiple commands. The command was repeated for the remaining fillets on the underside of the model. From here finally add the fillets back and the changes have been complete. 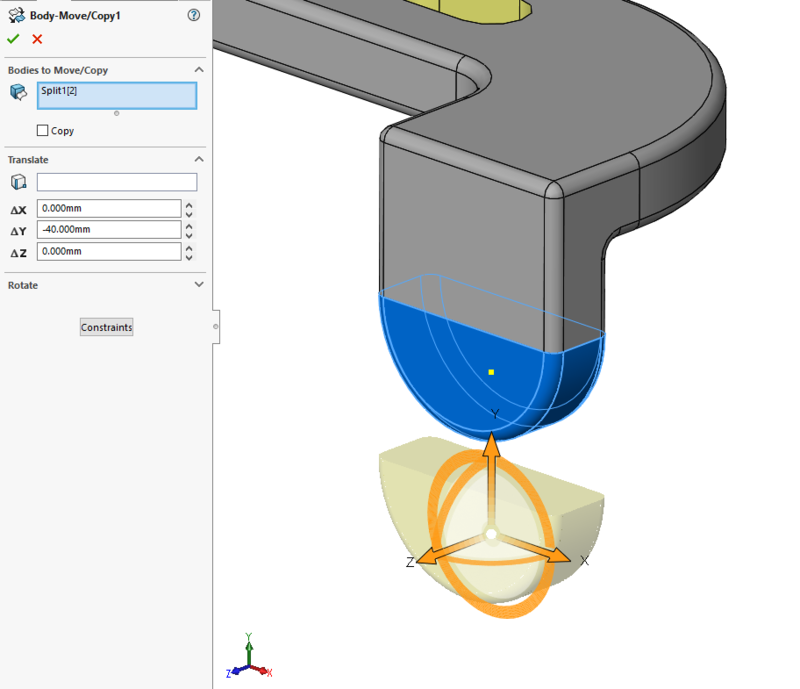 Working with imported files can be difficult at first but making use of the tools described here can be useful in making required changes to imported geometry. 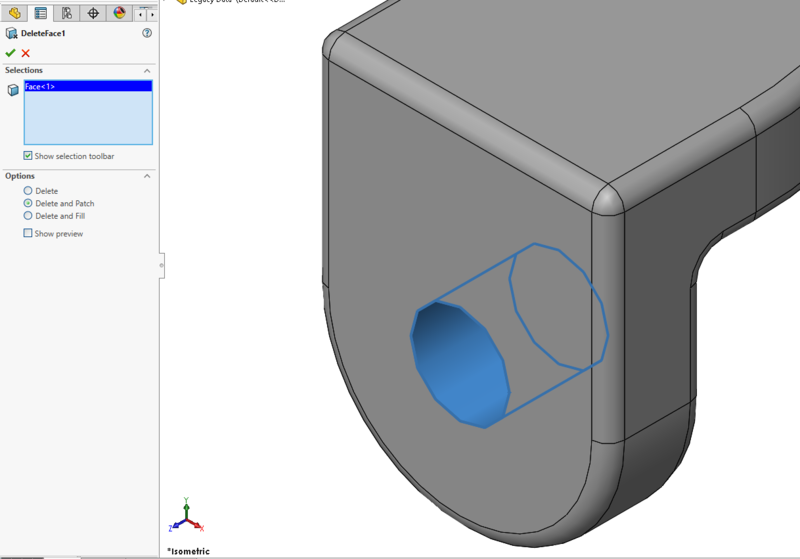 This entry was posted in SOLIDWORKS, Tech Tips and tagged Geometry, SOLIDWORKS, SOLIDWORKS Geometry, Tech Tips.